Just kidding, but I do feel blessed that I have gotten to work with Jadelynn Brooke the past two years as a campus rep! Jadelynn Brooke, if you didn't already know, creates some of the CUTEST tees out there. Three sisters started the company and create preppy, southern, patriotic, and now even Disney themed tees! If you love color and fun you'll love these girls. 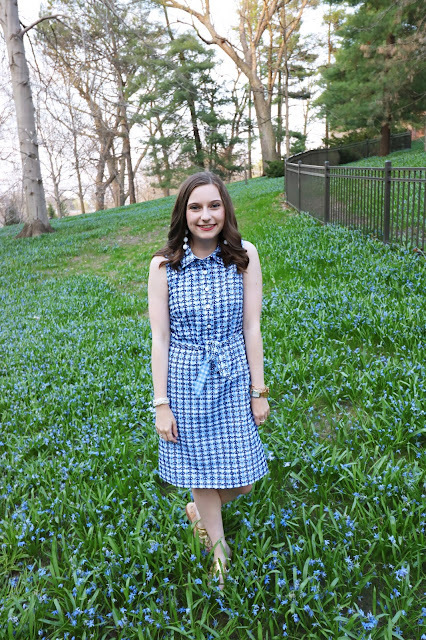 I love wearing their products to the pool, beach, or to class (when I was in class...). 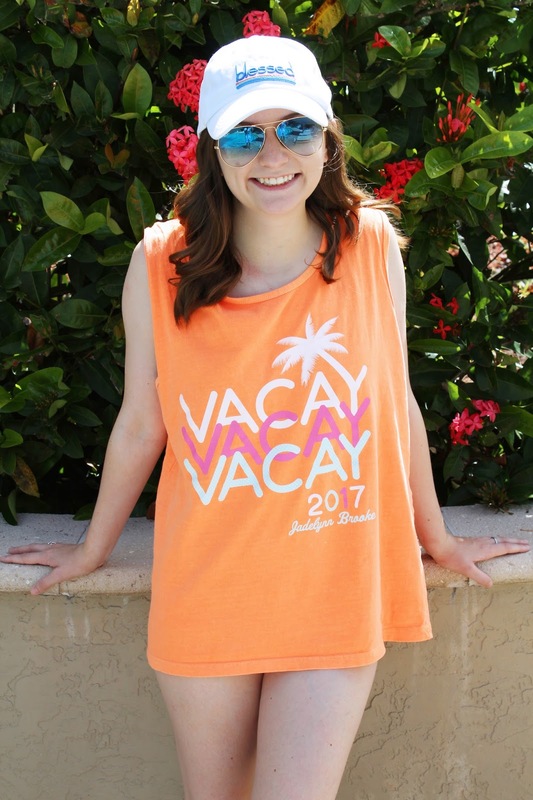 This vacay 2017 tank sadly didn't make it to me on time for my spring break, but I was so happy I got to sport it at the pool while I was on my vacation after graduation. Their tees are incredibly soft and have such amazing colors, like this neon orange! Jadelynn Brooke also makes accessories! Personally, I use their re-usable tote bags for groceries or just carrying stuff around. They are super durable, fun, and fold up super easily. They also have hats, stickers (who doesn't love stickers! ), and so much more. My blessed hat is also from Jadelynn Brooke! No to mention, they have ventured into super cute dresses, plain tees, and more for more everyday wear. But, I still love their t-shirts the best. I recently bought this Disney tee and it is so darn cute. They have a ton of new Disney tees right now and if you are a Disney fan like me you will die over these designs! From Dole Whips to castles they have it all. Want to make a Jadelynn Brooke purchase? My coupon code is still active so use it while you can!!! Use the code MPISU16 for 15% off your purchase!